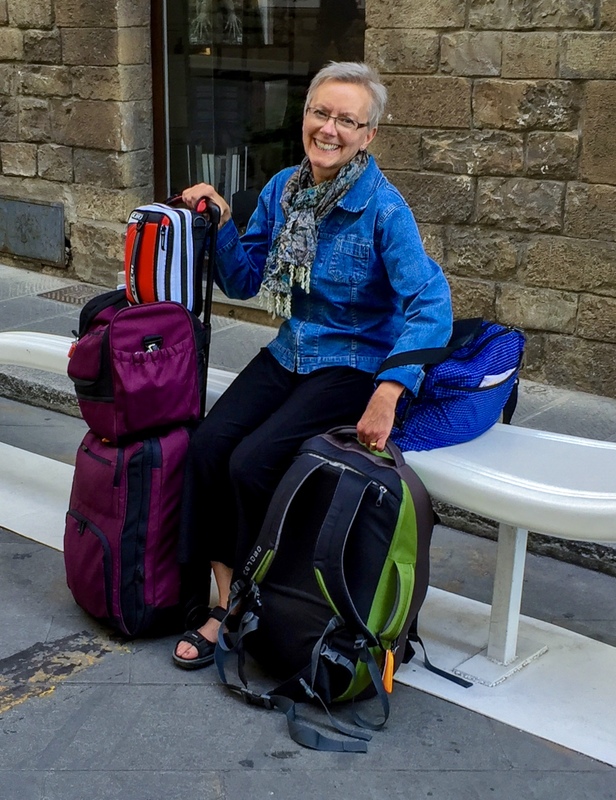 In the last few years my husband, Dennis, and I have done quite a bit of traveling. One thing is for certain, not everything goes as planned. While I hope most things will go smoothly, I know there will be times when I must rely on my patience to see me through. And to tell you the truth, it can be easier said than done. Before I hold-in my feelings and seethe, or explode and lose all sense of, well, sense in the moment, I remind myself to take a big breath followed by another, and another, and as many more breaths as necessary, before I react. There is something quite soothing about oxygen at an unsettling time. It’s interesting to me how inhaling large amounts of oxygen and focusing on my breathing slowly clears my head and brings on a sense of calm. It is within the calmness when I can be of assistance to the moment and be rational. Lately I have added quiet humming to my patience repertoire and it, too, brings on calmness and a sense of peace, although it may unnerve the people around me. Oh well! Better a calm sensible me, I’d say. Before I head out the door for a trip, I will remind Dennis and myself to pack our patience. It’s a reminder that patience will see us through, and the two of us can figure out whatever comes our way. Bringing attention to the word patience may be a subtle reminder but it gives strength to the word and becomes more available to me when I need it. Packing my patience for traveling and seeing the positive impact it has made has helped me focus more on patience in my daily life. The more I focus on patience the more it becomes a habit. I find patience with others is easier than patience with myself. But that’s okay; I’m learning more about the positive impact of patience in my life, and know I’m worth being patient for. I pack my patience along with me everyday. When was the last time you considered packing patience into your day? The next time you are sitting in traffic, try focusing on your breathing, or better yet hum a little tune over and over. Here a hum, there a hum, everywhere a hum-hum. Ah, don’t you feel better?